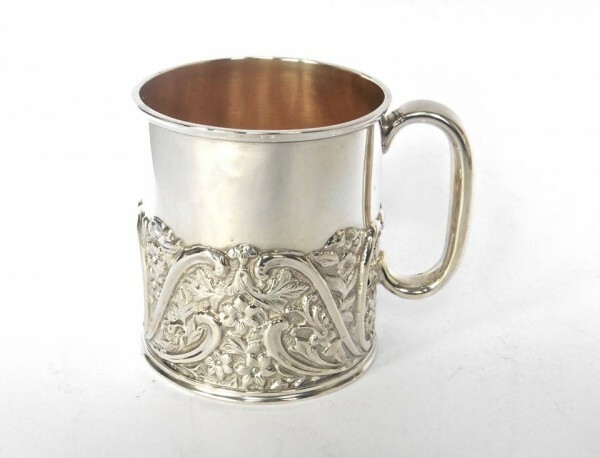 Attractive embossed Victorian Silver Christening Mug. Gilt interior. Height 7.5 cms. Width 9cms.